Hello Gents (oops... and ladies too I suppose), I've been a member since September but haven't posted anything till now. 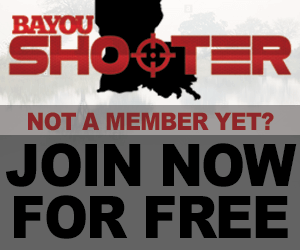 Live in Mandeville, work in Harahan, and try to shoot at least once a month. I've never posted comments on some other platforms like UTube, etc., it can get pretty hostile with the comments sometimes. So many angry people out there!! This forum looked quite civil. Looking forward to discussing our shared love of guns, gear, reloading & everything else that goes with the CCW lifestyle... John O. "It is better to practice a little than talk a lot." Now that is a pretty decant offer??? Hey, I'd love to buy a Polish PM63c if you have one that you could part with or would want to trade. Thanks for looking! All times are GMT -6. The time now is 03:26 AM.